Seems like AT&T is using unorthodox ways to ease network congestion. Rather than working on its networks AT&T announced some changes to its iPhone data plans today. 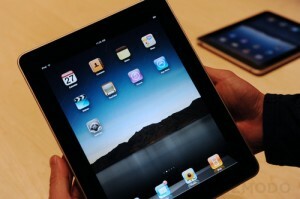 This also effects the iPad 3G owners and will begin from June 7th. AT&T announced that it would not continue to have the $30/month unlimited data plan and instead would have a $25/month for 2GB for the new iPad customers. The plan however will be a prepay plan as usual with no contract. The good news is existing iPad customers can keep their $29.99 per month unlimited plan or choose to switch to the new plan, which really does not make sense. Users can monitor their wireless date by recieveing free text messages after they reach different usage intervals and also using a smartphone app that shows monthly usage information. However there is hope for iPad customers especially in cities such as New York and Los Angeles. The plan includes unlimited access at no additional charge to more than 20,000 AT&T Wi-Fi Hot Spots in the U.S. AT&T also plans to install more Wi-Fi units across the nation. The new wireless data plans also include a tethering option. The two plans called DataPlus and DataPro, with DataPlus being 200 MB for $15 per month will only hurt the sales and Apple must be concerned. “The whole idea of spending big bucks to get these devices is unlimited data anywhere at any time” exclaims an analyst. Verizon might just use this in their favor as they have not announced any such restrictive plans. Well if you currently have an unlimited plan with AT&T be sure to hang on to it. Next Magician and an iPad, a perfect marriage?